There’s never been a better time to trade in your old car of 7 years or more. As part of our Scrappage scheme, Charles Hurst Kia are now proud to offer you £2,000 off a Kia Picanto. Everything about the new Kia Picanto is mighty, the spacious 5 seat interior packed with cutting edge design and innovation. The Picanto suits modern city life with it's compact design and agile performance combined with its new low emissions engine. The interior of the All-New Picanto is geared to your comfort. With spacious dimensions, intuitive modern design and premium materials, you won’t be able to stop yourself. So go on. Get in, get comfy – and delight in every journey. Think a small car can’t be big on space? Think again. The All-New Picanto feels surprisingly spacious, with generous dimensions for head, shoulder and legroom – even in the rear. And with a heated steering wheel and front seats, there’s even more reason to settle in and be comfortable. The energetic All-New Picanto is ready for anything. With its roomy cabin, versatile folding seats, and outstanding 255l luggage capacity, you’ll have all the space you need to make the most of every day. There’s a lot to love about the All-New Picanto’s sporty design. From dynamic lines to bold styling accents like the new Kia signature grille and bumpers, it’s a chic model that’s ideal for zipping around the city. Plus, with a choice of 7 exciting body colours to choose from, you can pick the car that’s perfect for you. The Picanto is compact enough to nip through the city streets with ease and comfort while having the sort of performance you would not expect from a small car on the open road. It is not just the performance that is mighty, there are a range of specifications that you would normally only be found on a larger cars. These include RDS radio with MP3 connectivity, hill start assistance and electronic stability control. The Picanto brings a new level of comfort to the market for vehicles of its class. With a longer wheel base the Picanto has plenty of room, which provides a comfortable ride for the driver and passengers. The interior is designed with high quality materials to complete a modern look. The Picanto receives the very impressive 7 year Kia warranty. 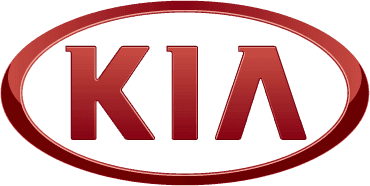 All Kia vehicles are built to the highest standard and to back this up Kia offer a 7 year 100,000 mile warranty across their product range. There is also a further 5 year paint warranty and a 12 year rust warranty available. Personal Contract Purchase (PCP) offer for Retail customers only. Not for Business Users. 4.9% Representative APR shown available on new Picanto models only registered and proposed for finance through Kia Motors Financial Services. This promotion cannot be used together with other manufacturers promotions and is subject to availability. Prices shown are for new vehicles while stocks last. All details are correct at time of publication and are subject to change without notice. Offer may be varied, withdrawn or extended at any time.